10 a.m. Bring out your inner artist during the Dana Point Library’s adult coloring and knitting club. Supplies provided. The class occurs every Friday 10 a.m.-noon. 33841 Niguel Road, Dana Point. 949.496.5517. 5:30-8:30 p.m. Join Palisades United Methodist Church for an evening of fellowship followed by a movie under the stars. Dinner will be a mac and cheese bar, catered by Stephanie Harrelson. Anna Young will perform live entertainment before a viewing of Moana. Cost is $5 per person or $20 for a family of four or more. Call the church to reserve your spot at 949.496.5502. 27002 Camino de Estrella, Capistrano Beach. 6-9 p.m. Join Eco Waterhouse and Stôn for an evening of jewelry, champagne, hors d’oeuvres and more. Eco Waterhouse. 24671 La Plaza, Suite 2, Dana Point. 6:30 p.m. Join Dana Wharf for a 90-minute evening cruise aboard the luxury catamaran. The cruises run Friday and Sunday evenings. Tickets are $49. Dana Wharf Sportfishing & Whale Watching. 34675 Street of the Golden Lantern, Dana Point. 949.496.5794. www.danawharf.com. 7:30-10:30 p.m. Listen to live music at Barnoa Wine Bar. 831 Via Suerte, #106, San Clemente. 8 p.m. Forget your troubles and head to the Cabaret at the Cabrillo Playhouse. Cabaret explores the crazy and tumultuous life of Cliff, a young American writer, and English singer Sally Bowles as they become friends and enjoy the bohemian lifestyle of the final days of Germany’s Republic. Ticket prices range from $20-$25. The show continues through Sunday, Oct. 8. Cabrillo Playhouse. 202 Avenida Carbillo, San Clemente. 949.492.0465. www.cabrilloplayhouse.org. 9 p.m.-midnight. Listen to live music at StillWater Spirits & Sounds. 24701 Del Prado, Dana Point. 9 p.m. Listen to live music in 33North. Monarch Beach Resort. 1 Monarch Beach Resort, Dana Point. 7-9 a.m. South OC Cars and Coffee is a gathering of car enthusiasts every Saturday morning. Vehicles of all makes and models will be on display. More than 500 cars are expected to show up to the weekly event. Outlets at San Clemente, 101 W. Avenida Vista Hermosa. www.facebook.com/southoccarsandcoffee. 7-9:30 a.m. Welcome the first weekend of fall with a hike out to North Ridge and back along Shady Canyon. The difficulty level is moderate and is about 4.25 miles long. Participants must be registered by 4 p.m. Sept. 22. Tickets are $10 for adults, $5 for children. The Reserve at Rancho Mission Viejo. 28811 Ortega Highway, San Juan Capistrano. 949.489.9778. www.rmvreserve.org. 9:30-10:30 a.m. Native plant expert Colin Dunleavy will lead a discussion of hard-working, low maintenance native plants. Learn about which plants will be dependable and effective in the garden. Tree of Life Nursery. 33201 Ortega Highway, San Juan Capistrano. www.californianativeplants.com. 10 a.m.-2 p.m. Armstrong’s team of designers will give an overview of available services, will show portfolios of previous work and answer general landscape design questions. Registration is not required. Armstrong Garden Centers. 32382 Del Obispo Street, San Juan Capistrano. 949.661.6666. www.armstronggarden.com. 10 a.m. Join the monthly children’s programs at the Dana Point Nature Interpretive Center every fourth Saturday of the month. The program is designed to teach kids about the natural world around the Headlands. Programs are hands-on and generally geared toward elementary school-aged kids. RSVP online at www.fodph.org. Dana Point Nature Interpretive Center. 34558 Scenic Drive, Dana Point. 10 a.m.-12:30 p.m. Join Ocean Institute scientists on a whale watching cruise aboard the R/V Sea Explorer to view wildlife that make the coastal waters of Dana Point their home. Trips go out every Saturday and Sunday. Tickets are $45 for adults, $35 for seniors and active-duty military and $25 for children. Members receive a 10 percent discount. Ocean Institute. 24200 Dana Point Harbor Drive, Dana Point. 949.496.2274. www.ocean-institute.org. 1 p.m. Listen to live music at Hennessey’s Tavern Dana Point. 34111 La Plaza, Dana Point. 2:30 p.m.-1:30 a.m. West Coast Strayz performs, followed by Lightning Train at 8:30 p.m. Swallow’s Inn. 31786 Camino Capistrano, San Juan Capistrano. 949.493.3188. www.swallowsinn.com. 4-7 p.m. Listen to live music at StillWater Spirits & Sounds. 24701 Del Prado, Dana Point. 4-10 p.m. The 39th annual Shea Center BBQ & Family Faire will feature over 300 silent auction items, old fashioned country faire games, a petting zoo, Shea Center rider demonstrations and a BBQ dinner from the Montage Laguna Beach. Western wear is encouraged. Live music by Swingshift. Tickets must be ordered online at www.sheacenter.org/events.php. J.F. 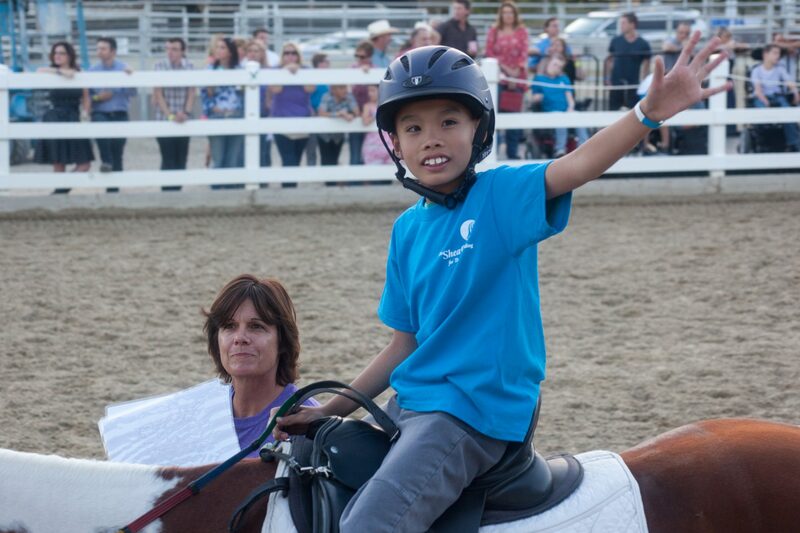 Shea Therapeutic Riding Center, 26284 Oso Road, San Juan Capistrano. 949.240.8441. 5:30-10 p.m. The 15th annual Toast to the Casa will help raise necessary funds to continue providing innovative cultural programs for the San Clemente community and children, and to preserve the city’s historic landmark. Enjoy fare from more than 20 local restaurants, wineries and breweries, spectacular entertainment, as well as live and silent auctions at the crystal ball-themed fundraiser. Tickets are $200 per person. Casa Romantica Cultural Center and Gardens, 415 Avenida Granada, San Clemente. 949.498.2139. www.casaromantica.org. 6-8 p.m. Join Alan Hostetter for an evening of relaxation through his workshop which includes Yoga Nidra, aromatherapy, crystal singing bowls and more. Price is $20 for pre-registration and $30 at the door. Yoga Bungalow. 32382 Del Obispo St., San Juan Capistrano. www.yoga-bungalow.com. 7:30 p.m. Jay Hewlett will headline the show while additional guests include Charles Sanchez, Chris Z!, Jake Leos and Mario Hirose. Adele’s at the San Clemente Inn. 2600 Avenida Del Presidente, San Clemente. 949.481.1222. www.adelessanclementeinn.com. 8-9:30 p.m. Every Saturday join Dana Wharf for a live music harbor cruise. Tickets are $25 per person, and the event is for 21 and older. Dana Wharf Sportfishing & Whale Watching. 34675 Golden Lantern, Dana Point. 888.224.0603. www.danawharf.com. 8-10 p.m. Hop aboard the Ocean Institute’s R/V Sea Explorer to witness marine birds, sea lions and bioluminescent plankton. A net will drop down 600 feet to capture these creatures. Cost is $24-$45. 24200 Dana Point Harbor Drive, Dana Point. 949.496.2274. www.ocean-institute.org. 9 p.m. Funk Shui Planet with Boostive will perform live music. 21 and over. $10 tickets. Save $2 on your order by sharing this event with your friends at checkout. OC Tavern, 369 S. El Camino Real San Clemente. 949.542.8877. www.octavern.com. 9 p.m. Listen to live music at StillWater Spirits & Sounds. 24701 Del Prado, Dana Point. 8-9:15 a.m. Join an Orange County Parks Ranger for a one-mile hike around Bell Canyon in Caspers Wilderness Park. Parking is $5, the hike is free. 33401 Ortega Highway, San Juan Capistrano. 949.923.2210. www.ocparks.com/caspers. 1 p.m. Listen to live music at Rancho Capistrano Winery. 26755 Verdugo St., San Juan Capistrano. 2 p.m. Listen to live music at The Swallow’s Inn. 31786 Camino Capistrano, San Juan Capistrano. 2:30 p.m. Listen to live music at the Swallow’s Inn. 31786 Camino Capistrano, San Juan Capistrano. 949.493.3188. www.swallowsinn.com. 3 p.m. This month’s selection is Theeb, directed by Naji Abu Nowar. The film is set in 1916 in the Ottoman Empire. No registration is required. Dana Point Library. 33841 Niguel Road, Dana Point. 949.496.5517. 4 p.m. Listen to live music at StillWater Spirits & Sounds. 24701 Del Prado, Dana Point. 5:30-10 p.m. The Pet Project Foundation’s annual gala aims to benefit the San Clemente/Dana Point Pro-Humane Animal Shelter. There will be a three-course meal, silent and live auctions, dancing and more. Tickets are $135 each, and sponsorships are available. Bella Collina Golf Club. 200 Avenida La Pata, San Clemente. www.petprojectfoundation.org.